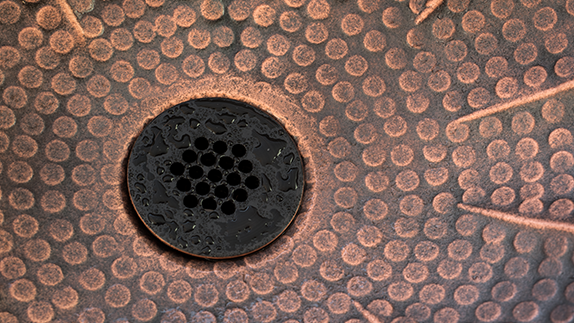 MR Direct uses 99%-pure, mined copper to create each copper bathroom sink. 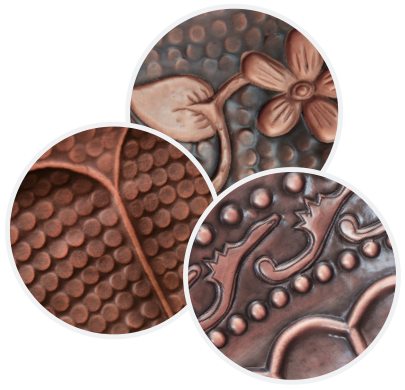 Many are hand-hammered to achieve a beautiful textured finish, while others have a decorative design embossed into the surface. 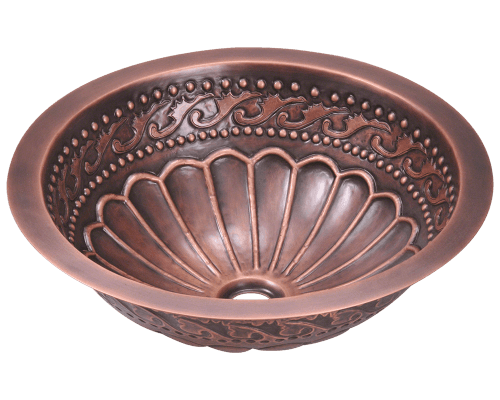 With artistry and skill, this metal is molded into an oval, circular, or rectangular-shaped copper sink. 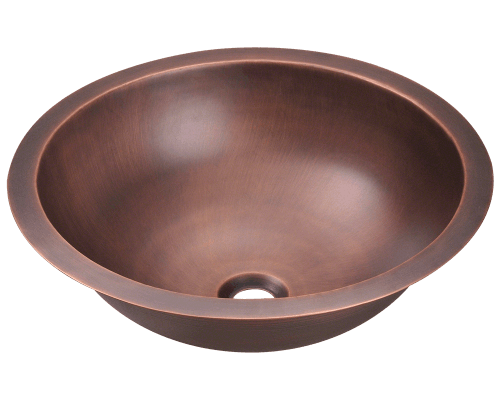 MR Direct offers a range of installation methods for its copper bathroom sinks. 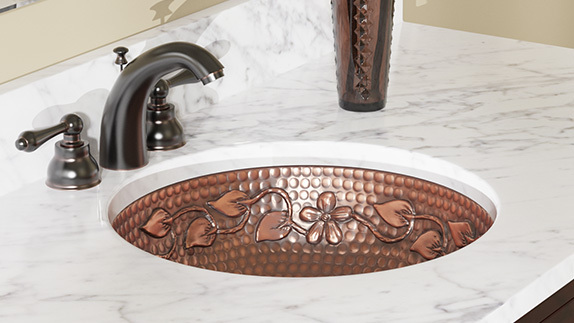 Copper undermount bathroom sinks can be installed with a negative, flush, or positive reveal. Topmount copper bathroom sinks sit inside a specifically cut hole in the vanity top and are suspended by their rim. 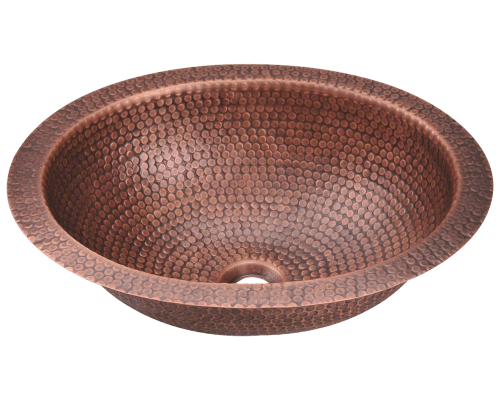 Copper vessel sinks are free-standing models that rest directly atop the surface of the vanity. Many styles of MR Direct copper bathroom sinks can be installed in a choice of mounting techniques. Whether it's a drop-in copper bathroom sink, or a copper undermount lavatory sink, or a copper vessel bathroom sink, a timeless elegance is always evoked. Many are exquisite enough to be regarded as works of art. 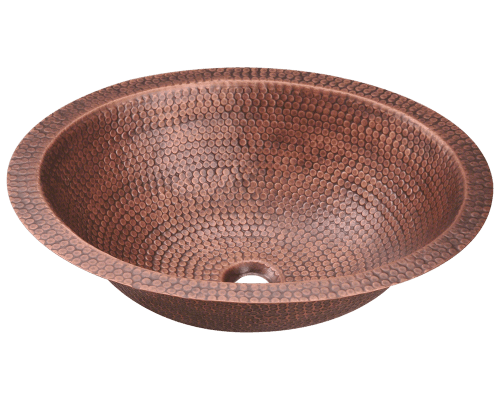 All MR Direct copper bathroom sinks come standard with an aged patina which, in combination with their hand-hammered or decorative finish, will conceal minor scratches and blemishes that may occur over time. The patina alters the appearance of the sink as it oxidizes and darkens over its lifetime. 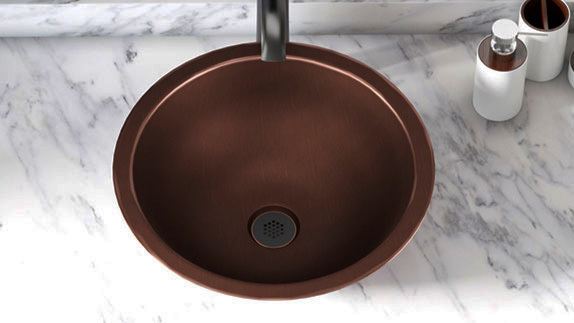 Varying copper tones will turn each sink into a unique masterpiece.